Point of Sale (POS) Solutions | Net Rescue. Integrated Tech Tools That Grow Your Business. 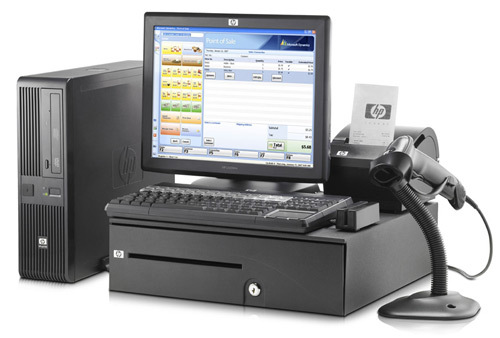 POS for Midsize Retail, Wholesale and Restaurant Point of Sale Solutions Computerize your one or Multi-store or Restaurant with POS Solutions that improve the profitability of your operations, streamline daily operations including customer transactions, inventory tracking, marketing and employee labor. Easily ring up sales, accept credit cards, manage inventory and track customers. Instant reports show you top-selling products, customer stats, sales data and more. Use Mobile Sync1 to capture sales anywhere with iPhone, iPad and Android. Integrates with other powerful Intuit products: QuickBooks & GoPayment2. 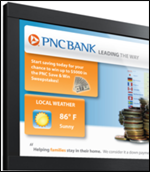 A pcAmerica point of sale system can help you . . .
With our highly intuitive screen design, a new user can successfully complete their first transaction in 60 seconds, greatly reducing training time. Reduce loss by managing inventory. The POS system — when used in conjunction with our wireless handheld inventory technology — enables you to control loss by detecting theft and shrinkage. Our Restaurant Pro Express and Cash Register Express software applications allow you to monitor inventory and sales trends so that you can profit by planning for the future. Microsoft Dynamics Retail Management System (RMS) offers small and midsize retailers a complete point of sale (POS) solution that can be adapted to meet unique requirements. This powerful software package automates POS processes and store operations, provides centralized control for multi-store retailers, and integrates with Microsoft Office system programs, Microsoft Dynamics GP, and other popular applications. Minimize disruptions with a retail management solution designed for rapid installation and ease of use. Enable your employees to learn POS procedures in minutes with built-in wizards and an intuitive user interface. Customize data fields to track information you want to see about customers, inventory, and suppliers. Provide support for existing computers and OPOS-compatible peripherals. 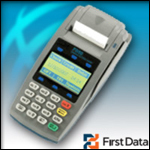 First Data offers some of the most flexible payment acceptance options in the industry, allowing merchants around the world access to a variety of point-of-sale (POS) payment solutions to meet their business needs. We have relationships with all major credit card and debit card companies, including VISA®, MasterCard®, American Express®, Discover®, Diners Club®, JCB® and STAR®. We can provide Electronic Benefits Transfer (EBT), and have relationships with Fleet Card vendors. We offer competitive rates, transaction security, flexible billing and timely, accurate reporting options. We also offer solutions with a variety of connectivity options, such as wireline, wireless and IP. Digital signage displays are most commonly controlled by personal computers or servers, through the use of either proprietary or domain software programs; this approach often allows the operator to avoid large capital outlays for the controller equipment.